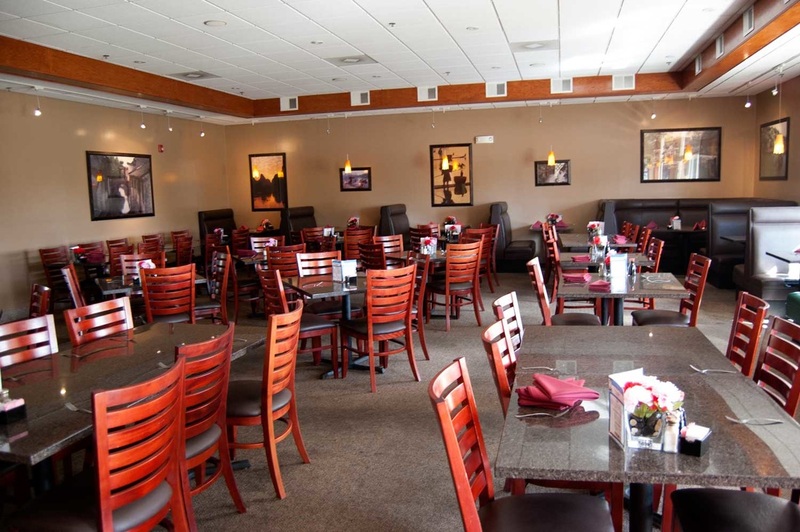 Asian Pearl Bistro is locally owned and operated in Windsor, Colorado, and has been serving award winning Asian cuisine for over 14 years! Customer satisfaction is our number one priority. We care about your health and strive to provide you with a menu full of healthy and delicious cuisine at a reasonable price. We use the finest ingredients and the freshest vegetables in our recipes, as well as low-sodium, gluten-free soy sauce. Our oil 100% cholesterol-free to ensure our dishes are low in both calories and fat. "The family who owns the restaurant is so friendly, and they go out of their way to make us feel at home in their restaurant. The food- no matter what you get - is fantastic and plentiful. The leftovers never go to waste as it is as good the next day. The restaurant is quiet and cozy and we love it." 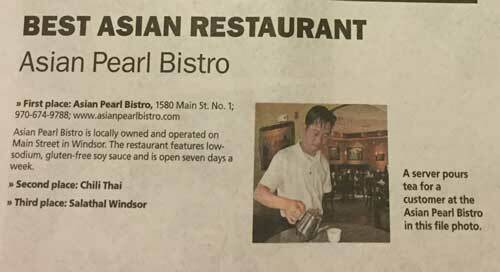 - Susan D.
We are proud to win the Best Asian Restaurant title in Windsor year after year by the Windsor Beacon and Windsor Now!